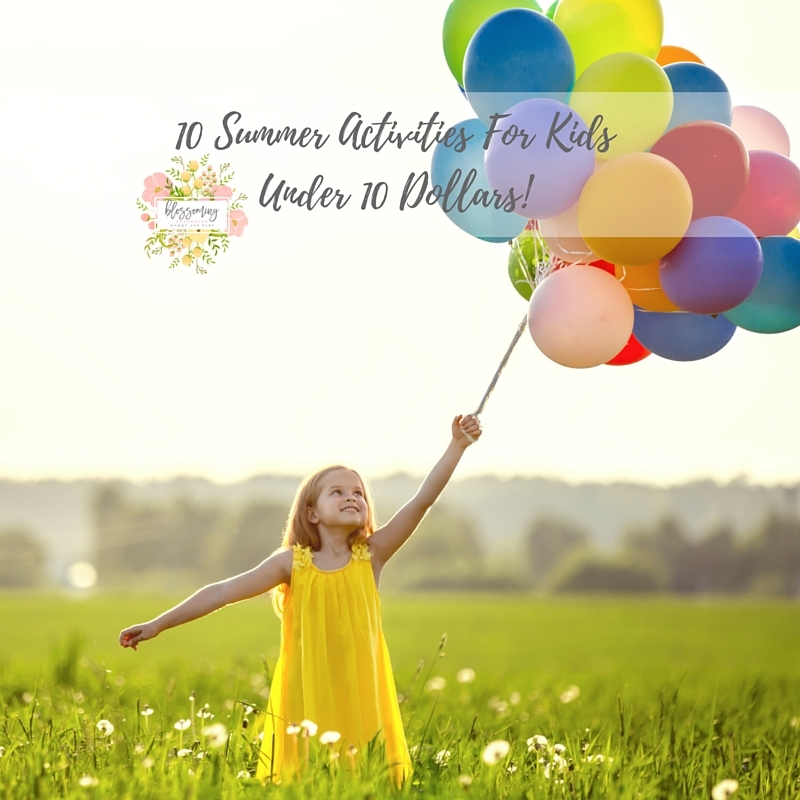 10 Summer Activities for Children Under 10 Dollars! Summer is still sizzling and the kiddos are ready to get (and stay!) ACTIVE! Moms, if you're ready for a fun-filled list of activities that are budget friendly, FUN, and yes, active, then you're in for a treat today! Below you'll find a TOP 10 LIST of summer activities for your littles under 10 bucks! Get your list out, girl! It's time! Paved Driveways- use em' for chalk and water games! Throwing Games with pool noodles (folded and taped into a circle) for a target! Volunteer as a family. Yes! Give back to your community with YOUR KIDS! Go to a park and host a fun scavenger hunt! The Classic Summer Pool :) Get a plastic pool (on sale!) and fill with water for a fun filled, SOAKED afternoon! There you have it! 10 budget friendly (and some free!) activities for your littles this summer. Remember, less screen time, more outdoor time. What activities will you be doing from the list?! Let me know by checking in @blossomingmommyandbaby and #blossomingmommyandbaby! We cannot wait to see you and your littles ACTIVE! If you want even MORE ideas.. check em' out below and don't forget to SHARE this article below on your favorite social media platform for a fellow mama in need!